PHOENIX (AP) — Investigators for an Arizona sheriff's volunteer posse say President Barack Obama's birth certificate is definitely fraudulent. So-called "birthers" maintain Obama is ineligible to be president because, they contend, he was born in Kenya. However, Hawaii officials have repeatedly verified Obama's citizenship, and courts have rebuffed lawsuits over the issue. 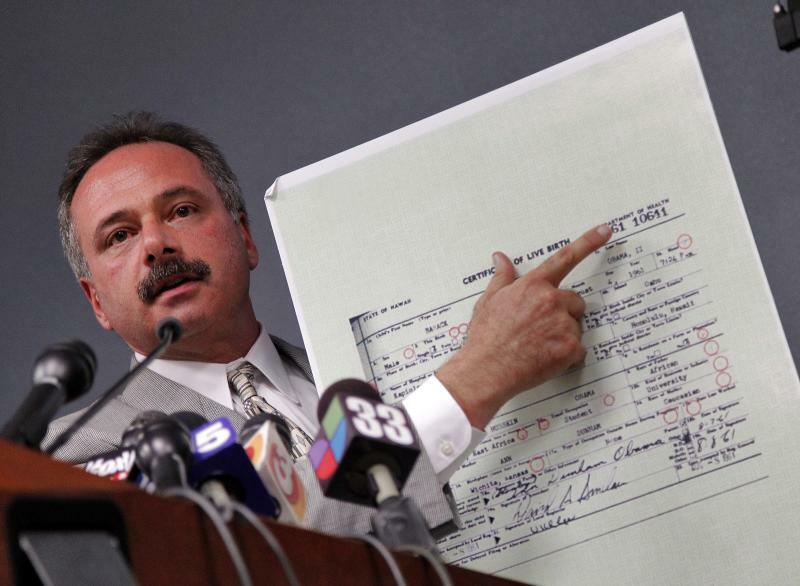 Mike Zullo, the Arizona posse's chief investigator, said numeric codes on parts of the long-form birth certificate indicate those parts weren't filled out, yet those sections asking for the race of Obama's father and his field of work or study were completed. Zullo said investigators previously didn't know the meaning of the codes but they were explained by a 95-year-old former state worker who signed the president's birth certificate. Zullo said a writer who published a book about Obama's birth certificate and was aiding investigators let them listen to an interview he conducted with the former state worker. A civil trial is set to begin Thursday in a lawsuit that accuses Arpaio's office of racially profiling Latinos. 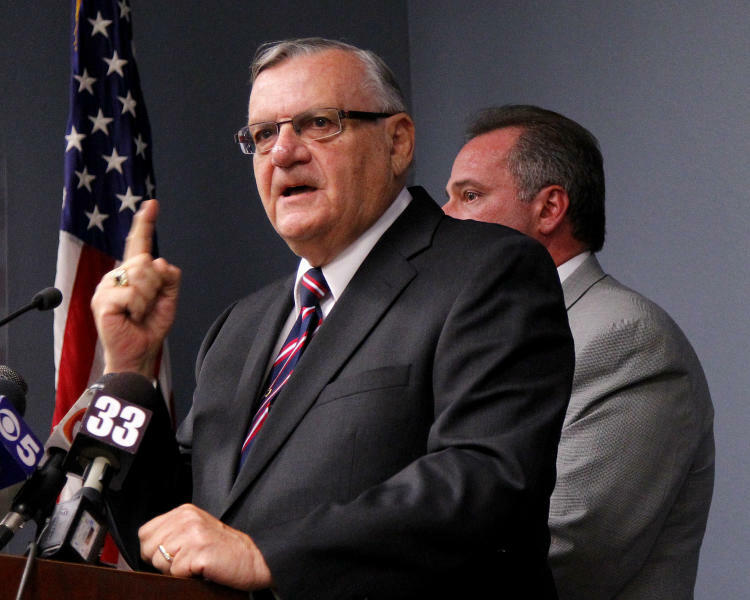 The suit filed by a handful of Latinos will serve as a precursor to the U.S. Justice Department's lawsuit that alleges a broader range of civil rights violations against Arpaio's office. Obama released a copy of his long-form birth certificate in an attempt to quell citizenship questions. His campaign declined to comment on Arpaio's allegations. But Joshua A. Wisch, a special assistant to Hawaii's attorney general, said his state's vital records are some of the best-managed and have "some of the strongest restrictions on access to prevent identity theft and fraud." "President Obama was born in Honolulu, and his birth certificate is valid," Wisch said in a statement. "Regarding the latest allegations from a sheriff in Arizona, they are untrue, misinformed, and misconstrue Hawaii law."